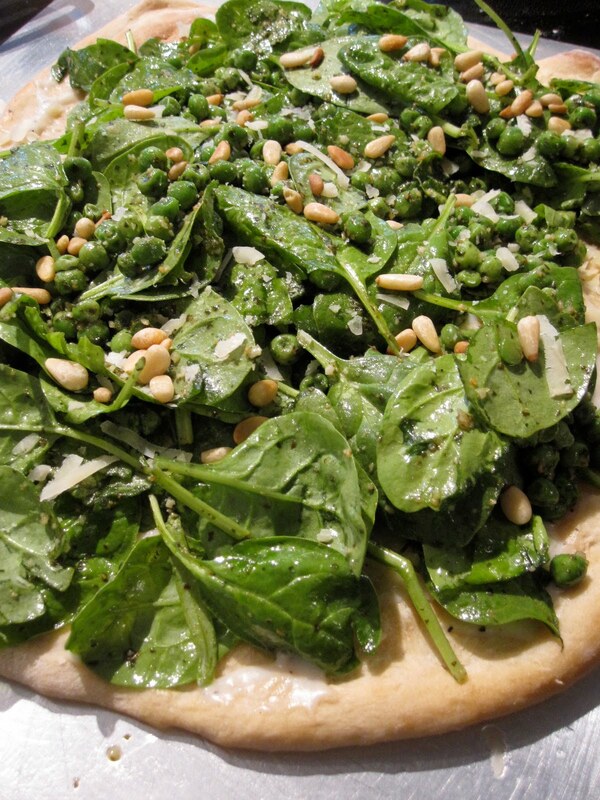 So, what do you get when you cross a pizza withPesto Pea Salad? Yummy, yummy deliciousness. 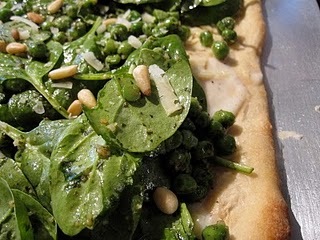 At Woodman’s (a local grocery store) we found frozen pizza dough from a local bakery that I just rolled out and baked. Meanwhile, I made a béchamel sauce – equal parts butter and flour; 1 tablespoon of each – in a pot over medium-law heat. Then add approximately 3/4 cup of milk and bring to a simmer until thick. Season with salt, pepper, and a little garlic powder. Spread evenly over the cooked pizza crust, and top with the pesto pea salad and a liberal sprinkle of parmesan cheese. So good. * I have a moment to post tonight because there are tornado warnings, tornados, and flooding in Milwaukee. I was in class, which was cancelled after waiting in the parking garage for 50 minutes. I headed for home during a small break in the storm. Ain’t summer grand.